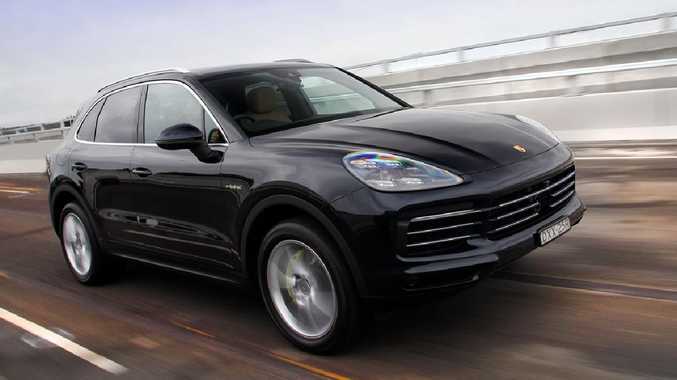 The Porsche Cayenne E Hybrid is fast, not sporty. 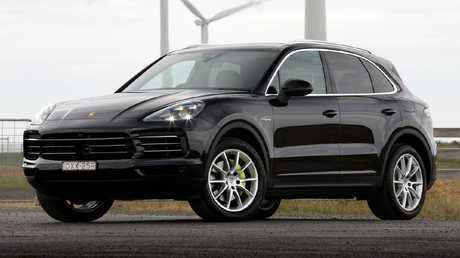 Porsche calls the Cayenne a "sports car for five". It's not. You can't change the laws of physics and the Cayenne is high-riding and heavy, so it's not going to devour hairpins like a 911. What it will do is gobble up the scenery at a rapid pace that defies its size. It's exceptionally well-balanced through corners, the steering is beautifully weighted and precise and it has tenacious grip. For all that sportiness, it's pretty comfy to drive around town, soaking up bumps and corrugations without jarring the occupants. It looks pretty damn good too. 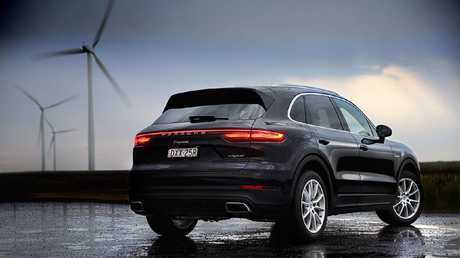 The Porsche hybrid is seriously efficient. Porsche has reacted to the Dieselgate scandal involving parent company Volkswagen by dumping diesel from its line-up - and that's a good thing. 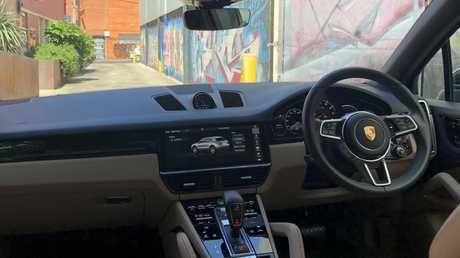 The V6 turbo in the hybrid Cayenne, in combination with the electric motor, delivers a level of performance more suited to a brand that built its reputation making outstanding sports cars. As with the diesel, it has plenty of shove off the mark - thanks to 700Nm of torque available almost immediately - but it also likes to rev, delivering maximum power at more than 6500rpm. The dual-clutch auto adds to the car's racy character with quick, decisive gearshifts. Plug-in hybrid sounds like a lot of fuss for a little emissions-free driving but the Cayenne is simple to recharge using a normal power point in the garage. Forget the fancy high-speed wall chargers, just plug it in when you get home and the range is there for the commute in the morning. Porsche claims an all-electric range of 23km-44km on each charge. Our experience suggests that's a reasonable claim. We also drove the Cayenne for several hundred kilometres on hybrid power and achieved about 8L/100km, which is good for a large vehicle with so much grunt. The Cayenne interior is what you’d expect from a high-end brand. The good news is it's $20,000 cheaper than the Cayenne S and only one-tenth slower to 100km/h, reaching the mark in a fast 5.0 seconds. The bad news is it's almost $20,000 more than the base V6 turbo Cayenne. The drive-away price is roughly $150,000 and that's before you begin to digest the pages-long options list. We managed to double the $150K on the website's "Build Your Porsche" tool. Some of the eye-poppers include a $13,000 Burmester audio, 22-inch wheels for $12,000 the set and exterior carbon-fibre highlights for a whisker under $17,000. The two-tone leather trim (not just brown but truffle and Cohiba cigar) adds $12,000. You’ll need to add a lot of options to match the same safety tech of a Toyota Corolla. We understand that Porsche buyers like to personalise their cars and have money to burn - but it's difficult to accept that safety features standard on some Corollas will set you back thousands in a Porsche. A head-up display costs $3280, while adaptive cruise and lane keep assist adds more than $5000.